UC Cooperative Extension is asking California farmers and landowners to help track the the state's wild pig population, reported Julia Mitric on Capitol Public Radio News. Signs of the pig's presence are hard to miss, UCCE advisor John Harper told the reporter. "It looks like you came in with a rototiller and just uprooted everything," he says. "It's like ground squirrel mounds or gopher mounds on steroids because the pigs can go over such a large area." California's wild pigs have a variety of origins. 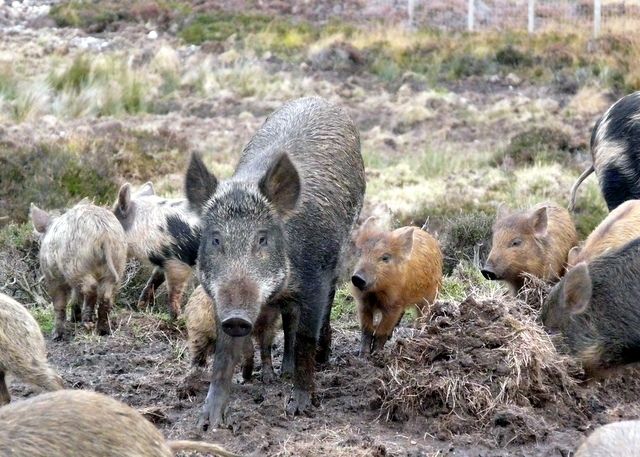 Harper says many are descended from domestic pigs who were released into the wild by humans or escaped on their own and bred with game hogs such as the Russian boar hog. Wild pigs root around in the soil for truffles and small plant roots with their sharp tusks tear, destroying plants and grasses that sheep and cattle like to graze on. They also open up the land for erosion and invasive species. "So you might get something like 'medusahead,' an invasive grass that tends to crowd out other more desirable forage species," Harper said. A team of UC Cooperative Extension scientists have created a GIS-based mobile app that works on Android and Apple devices to make it easy for landowners to participate in the study. “Rangeland managers and farmers can enter data into the app from the field so that we can estimate the land area and economic impacts of feral pig damage over a longer time period,” said Roger Baldwin, UC Cooperative Extension wildlife specialist in the Department of Wildlife, Fish, and Conservation Biology at UC Davis. Learn more and sign up to participate in the study on the UC Agriculture and Natural Resources news website. Sheep shearing is like a dance. It requires strength, flexibility, a tender touch and the right moves. Once mastered, the skill can open the door to gratifying and high-paying seasonal work. 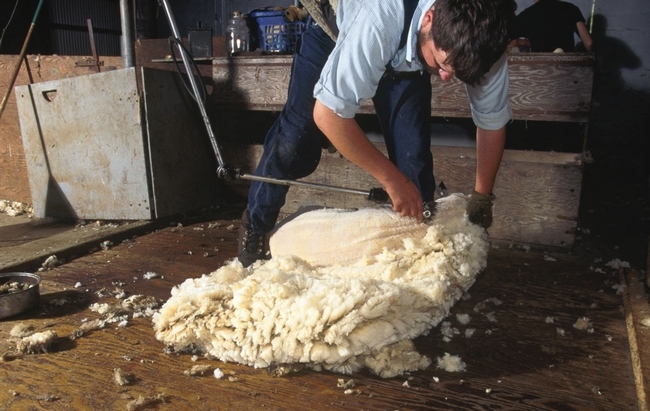 Shearers can earn $50 to $100 per hour, Harper said, and can start a business with a $3,000 investment in equipment. “If they can learn how to shear sheep correctly, it's a great little business to get into,” Harper said. The need for skilled sheep shearers in California and other parts of the nation has prompted the UC Hopland Research and Extension Center to host an annual sheep shearing school, where a diversity of students are introduced to a trade that allows them to work with their hands, out-of-doors, when and where they want. Although sheep shearing is traditionally a male occupation, Harper said he encourages women to take the course. Beatrice Thomas, 41, is a typical student. “I came to sheep shearing by way of dance and the arts,” Thomas said. But sheep shearing was a completely different experience. 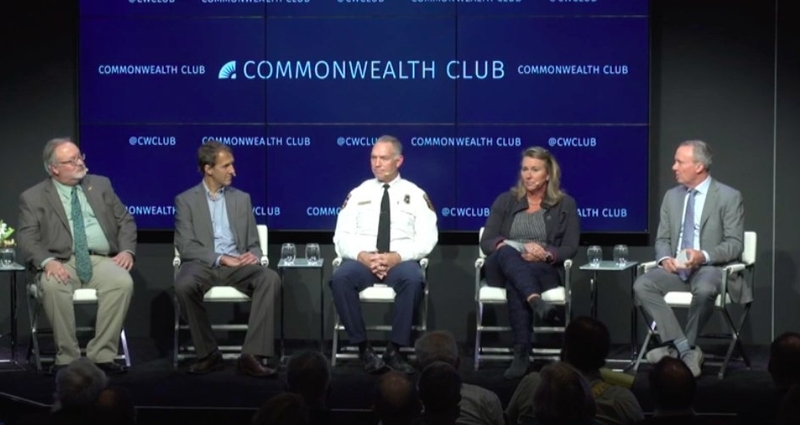 “This doesn't hurt the same way as sitting at a desk, because it feels vital. Every move is important. There's a dance. There's a rhythm. My whole spirit lit up,” Thomas said. The 5,200-acre Hopland Research and Extension Center is home to a flock of about 1,000 sheep, which provide opportunities for scientists to study their role in land management. They also serve as a ready supply of animals for prospective new shearers to learn the craft. The annual sheep shearing school at Hopland is the only intensive five-day course in the United States, said Hannah Bird, community educator at the research center. “It brings people from all over the country and sometimes outside the country,” she said. The week together helps build camaraderies amongst the newly trained sheep shearers. Hopland sheep shearing alums have created a Facebook group to stay in touch and refer jobs to one another. Several previous students are making a living a sheep shearing. One is Stephanie Wilkes, a 2013 sheep shearing student who now runs her own sheep shearing business from San Francisco. Lead instructor Gary Vorderbruggen said a key to sheep shearing success is a calm demeanor. Joining Harper and Vorderbruggen instructing the class in 2016 was Trevor Hollenback. He was first exposed to sheep shearing when visiting a friend's sheep farm in Austria. “I realized this is a really skilled craft. It's amazing,” Hollenback said. Hollenback quit his desk job and traveled to New Zealand for training, then returned to the Austrian farm for more practice. Back in the United States, Hollenback opened his own business and began shearing sheep in California and Arizona. He was tapped to be the instructor at Hopland because of his formal training in New Zealand. The week-long sheep shearing school at Hopland will be held again in spring 2017. The class typically fills up within two hours of opening registration. Register interest on the UCCE Mendocino website to be notified when registration opens. Sheep shearing is hard work, but has rewards. 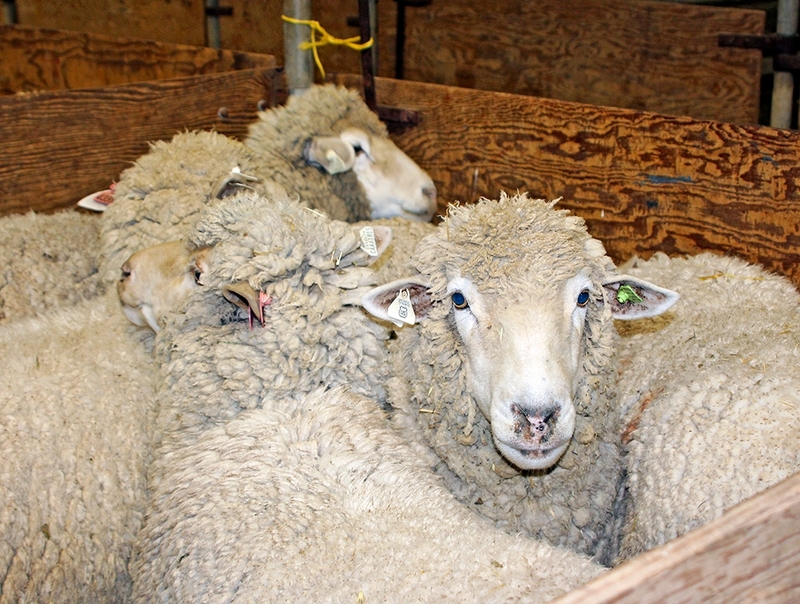 Many sheep shearing students said the process was "the hardest thing they have ever done," reported Glenda Anderson in the Santa Rosa Press Democrat. The newspaper ran a lengthy feature and a photo gallery of the annual sheep shearing school held at the UC Hopland Research and Extension Center this week. Reporter Justine Frederiksen of the Ukiah Daily Journal also reported on the sold-out sheep shearing and wool classing training at the 5,300-acre Mendocino County research center. “One of the things new students have the most trouble with is what we call ‘tipping' the sheep, or flipping them over,” Harper said. He explained that, to get the sheep into the ideal starting position, you need to push its back legs down with one hand and tuck its head in with the other, twisting the animal into a sitting position with all four legs dangling. UC Hopland REC sheep shearing students are part of a new wave of sheep shearers and wool enthusiasts industry officials hope will reverse decades of disinterest and decline. The shearing classes were booked well ahead of time, said Hannah Bird, a community educator at the research station. Many students are seeking a break from city life or jobs tying them to a desk. Wrote reporter Glenda Anderson, shearing sheep is sweaty, back-straining work that earns just $2 to $5 per sheep. But an expert sheep shearer taking part in the program said sheep shearing for a living has its benefits. “It's a lifestyle thing. I could work six months a year and travel around the world,” paying for the travel by working here and there, he said.